Your use of this website (the “Website”) is governed by the following disclaimer. Please read it carefully as it may have changed since your last visit. Your use of this Website indicates your acceptance of the terms of this disclaimer. In the event that you do not accept the terms of this disclaimer, please do not use this Website. The materials, information and pictures used on this Website have been prepared by and for Peterson & Myers, P.A. for information purposes only and does not constitute legal advice. 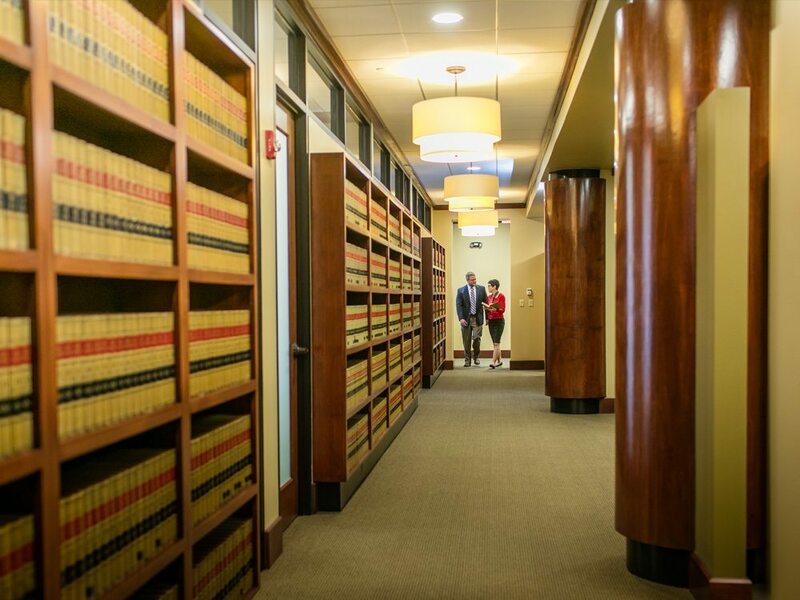 This information is not intended to create an attorney-client relationship nor should any user of this Website act upon this information without seeking the advice or consultation of professional legal counsel. All matters arising from the use of this Website will only be construed, enforced, governed by and evaluated according to the laws of the State of Florida and applicable federal laws. Please do not send Peterson & Myers, P.A. any information regarding any matter which may involve you, or pertain to you or your business, until you have received a written acknowledgement from Peterson & Myers, P.A. that we represent you. Peterson & Myers, P.A. has earnestly attempted to comply with all known legal and ethical requirements in creating this Website. Peterson & Myers, P.A. does not desire to represent clients based upon their review of any portions of this Website that do not comply with legal or ethical requirements. This Website and all of the information it contains, or may in the future contain, including, but not limited to, articles, memoranda, bulletins, reports, press releases, opinions, text, photographs, trademarks, trade names, and logos are the property of Peterson & Myers, P.A., its shareholders, partners, members and employees. No responsibility is assumed for the accuracy or timeliness of any website and Peterson & Myers, P.A. expressly disclaims all liabilities to actions taken or not taken based on any or all the contents of this Website. Peterson & Myers, P.A. is not responsible for any errors or omissions in the content of this Website or for damages arising from the use of this Website under any circumstances. 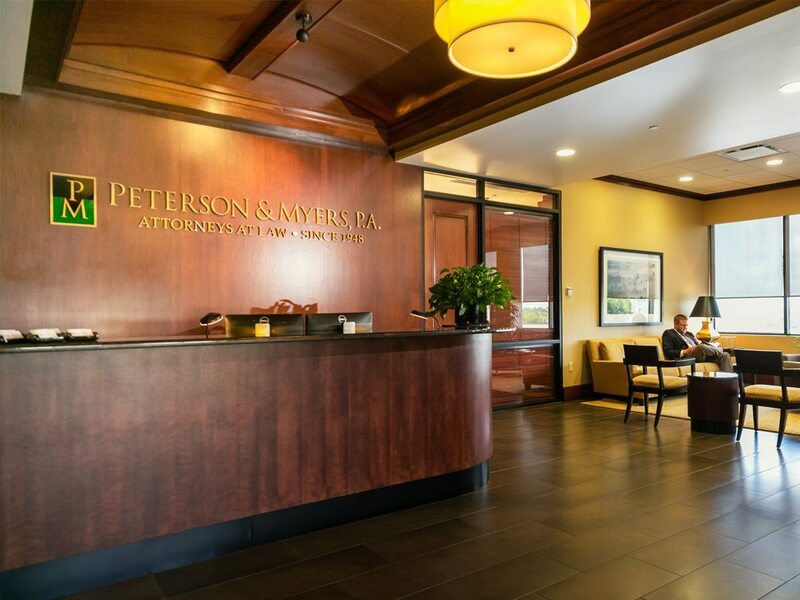 This Website, and all information available on or accessed through this Website is provided “as is” and Peterson & Myers, P.A. makes no warranties, representations or claims of any kind concerning the information presented on this Website including, without limitation, warranties of merchantability and fitness for a particular purpose. Any unauthorized use of the materials on this Website may subject you to penalties or damages including, but not limited to, those related to violations of trademarks, copyrights, privacy and publicity rights.